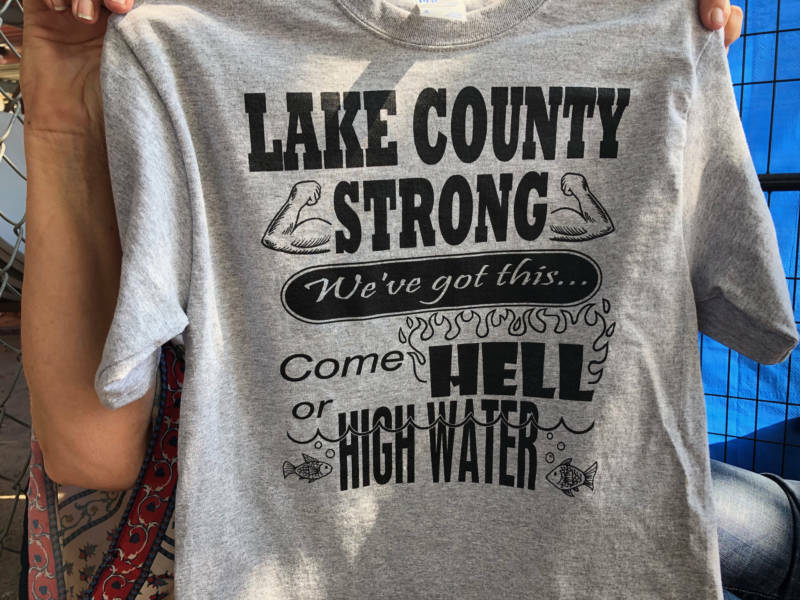 This summer, many Lake County residents have been living under an almost constant state of evacuation or blanket of smoke from wildfires. 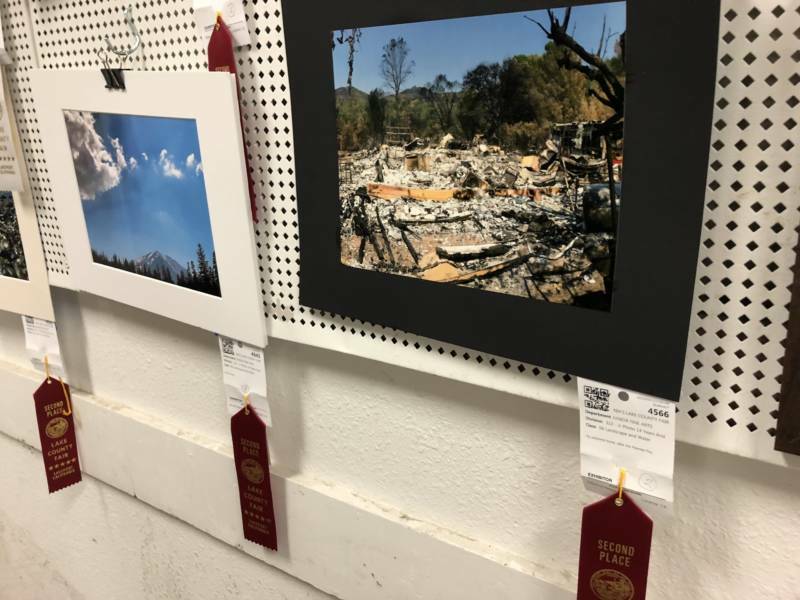 The Pawnee Fire scorched more than 15,000 acres, destroyed 22 buildings and forced thousands to evacuate in June and July, and the Mendocino Complex Fire — the state's largest wildfire on record — is still burning in the county. 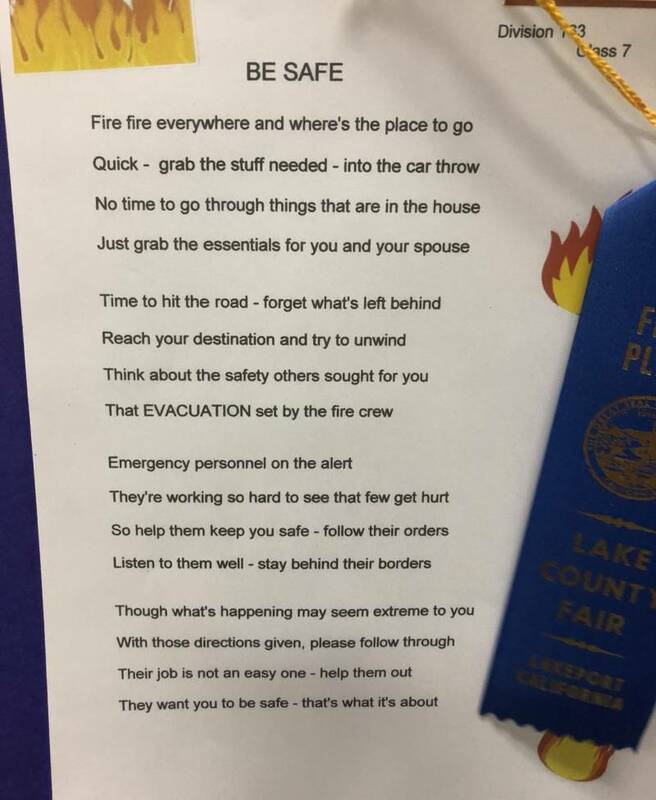 But this weekend, people in Lake County tried to return to a sense of normalcy at the annual Lake County Fair. Residents wandered past funnel cake stalls, rides and slushie machines, all under skies that are finally clear of smoke. On Saturday, an auctioneer auctioned off dozens of animals that local kids had been tending all year as part of the Lake County 4-H Club. 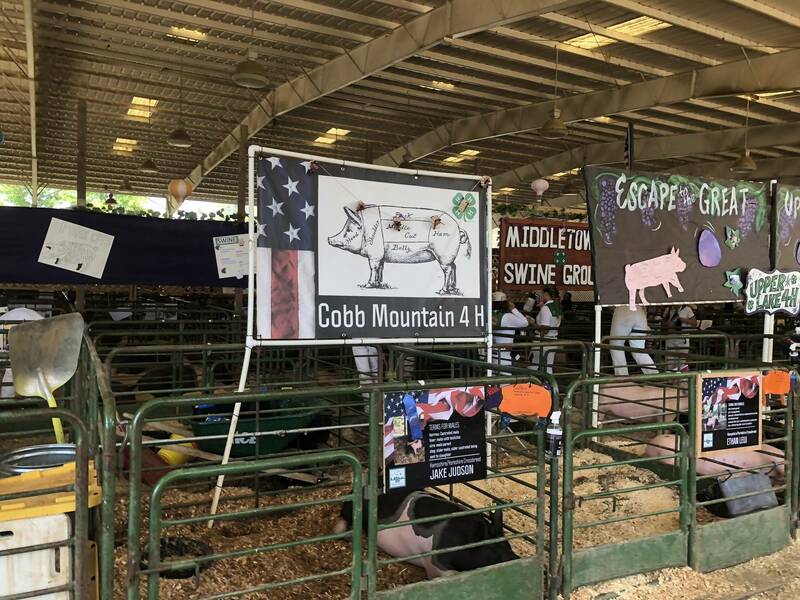 Included among them were TLC and Barrow, two pigs raised by Katy Brogan's son, Robbie Harper. "And Bill Coleman who lost three houses bought him," Brogran said, of one of Robbie's pigs. "And I was just so touched." 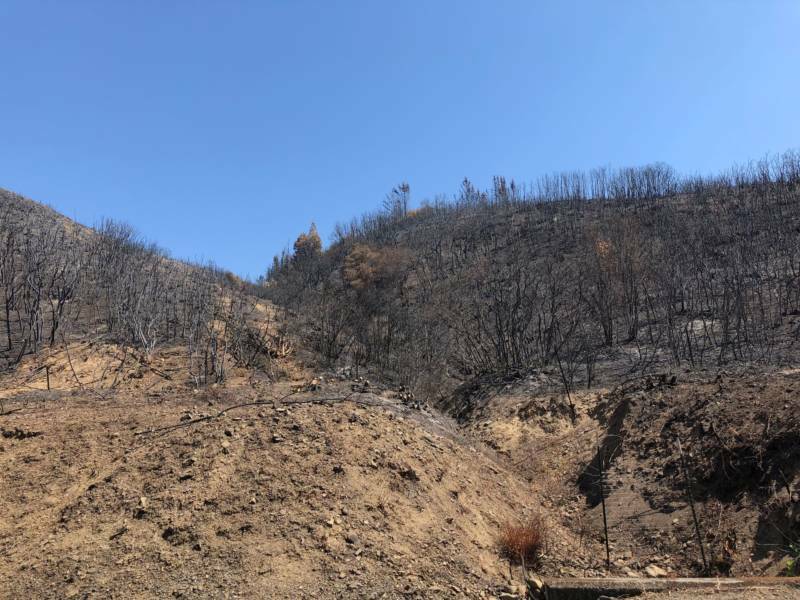 Brogan's family — her son Robbie, husband Rodney Harper and daughter Rebecca Harper — had to evacuate with their pigs during the Pawnee Fire and ended up losing their home. "I think that the pigs were a great distraction for the kids to keep them from thinking about" the fires, Brogan said. "As much as they lost, they still had this commitment that they had to see through. And I'm just really grateful for that." Rebecca's two pigs took first place for their weight class at the fair. "They worked super hard, and I worked super hard," Rebecca said. 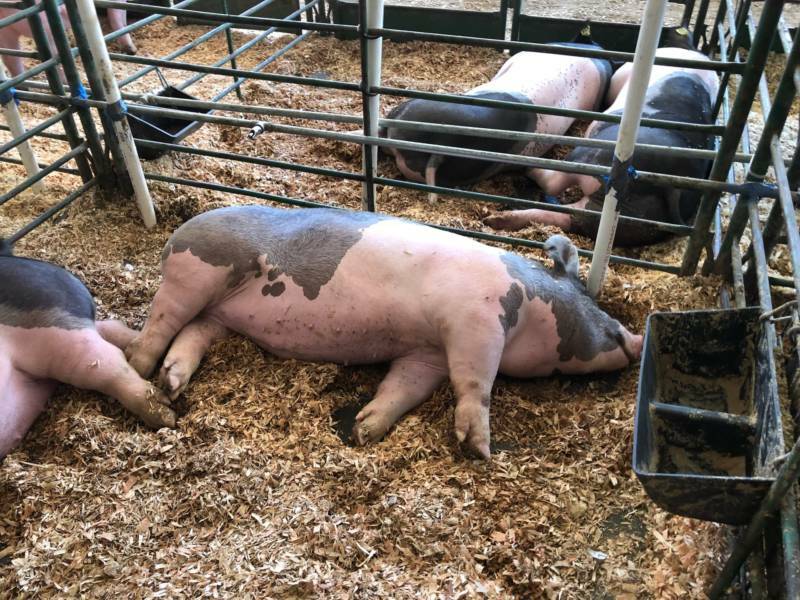 "They did super good for me in the show ring, and I'm happy that my girl will get to breed hopefully for next year's fair pig."